The S3 Plus is coming. not that I hate this car but dissapointed on detuned version. I drive audi S5 as my main car but wanted to update my golf V gti with a new hot hatch, preferable S3 sportsback. The a 45 amg way too expensive, those who managed to secure early orders are re-selling at high price because the car is not available at the dealer. I don't want m 135 because my young brother has one. What is normal state? Weather conditions will never be the same around the world, if it can't satisfy that is half done. Why other high performers not detuned? A 45 amg 2 litre with more power is sold as it is world wide. How do you defend that Hans? I care. 'In the rest of the world is great' who told you is not detuned some where else? Who cares about South Africa?! I don't care. In the rest of the world is great. I'm yawning and dissapointed. Is this engine made of papers and plastics? South African version of this car is detuned to 206kw. There is no official performance numbers for detuned version. I'll never buy detuned car. a 45 amg and m 135 currently remained only proper performance hatches on the market. In the new sportauto the S3 was slower in track than the M135 xDrive, but after 160 km/h the S3 was faster. And the S3 was manual once again. the S3 0-200 km/h in 19.4 s.
the M135 xDrive 0-200 km/h in 19.8 s.
Is not the year 2013? 4.6 sec after 180 to reach 200 kph. I thought that it could be faster than TTS as other figures showed. @ benzsl: The '97-'00 C5 Corvette does it at 108 MPH, but being that this car in all wheel drive, the speed will probably be faster due to less wheel spin. All the figures I added here are right, after my second checking. AMS shows only qm time but no speed. 19,9 ist impressive, cause it ist already 0,1 sec quicker than 320PS M135i Xdrive. @benzsl: Quarter mile in 13.4 seconds, wow, at what speed? 13.4 seconds is just .1 seconds slower than a 1997-2000 Chevrolet Corvette. Could you please check 0-200? It may be 18.9? Please write the AMS 5/2013 link. If it works, why replace it? I can see the same common mistake regarding the S3: the gearbox is 6 speed DSG and not 7 speed as mentioned by you. Please correct it on all the S3 derivate. Is anyone here who can say why Audi is still using this ancient gearbox with 6 speed(10 years old) instead of the newer 7 speed ? But the R8 was a revolution. After it every Audi got a better and better styling. And no..I don't like ricers or tacky cars but I don't care for plain cars either. I've never cared to play "dress up" with my cars. I prefer them to look as stock as possible and invest my time/money into things that matter like engine,trans and suspension. To me audis typically look bland and boring. Just because I don't really care for a car you like doesn't mean I have bad taste in cars or like ridiculous crap like whats in the pic you posted. I wouldn't say that Audis are plain, I like their classic good looks, I think they're beautiful cars. This is probably a fantastic car but I have never like audis designs. It just looks so plain and blahh. I could pass one of these on the road and wouldn't even notice it. Nothing sets this car apart from every other car on the road. Being of german descent I don't know why the germans can enjoy such bland designs. I can't tell the majority of bmw's apart from one another. Its like once they decide on a front end design..they stick it on every model for eternity. Id also rather drive a evo..comparable performance and a much better looking car imo. Ill take this S3 over any shoddy japan car. 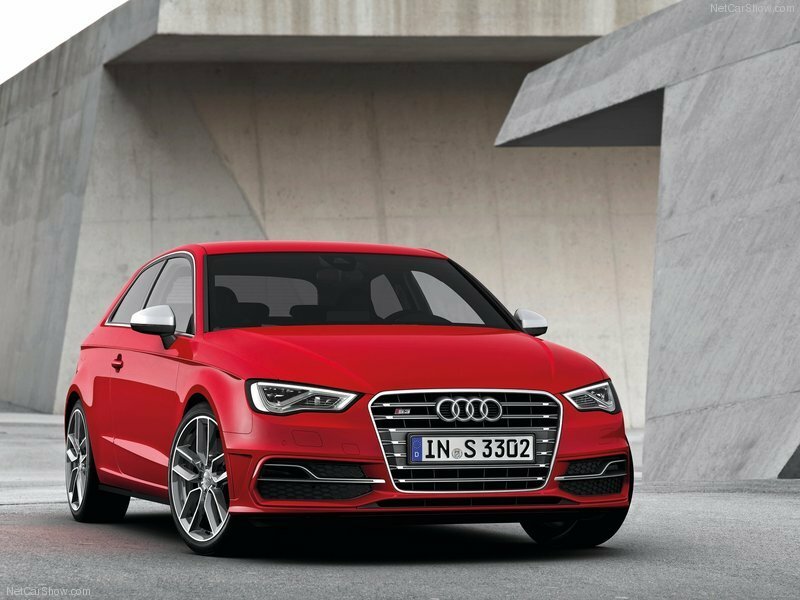 The S3 is very fast, have rich equipment, it is quite luxury and it is so good looking as inside as the outside.